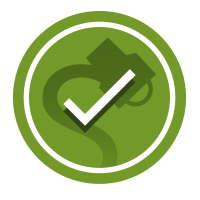 FACT CHECK: Did Robert Smalls Steal a Confederate Ship to Rescue Himself and Others from Slavery? 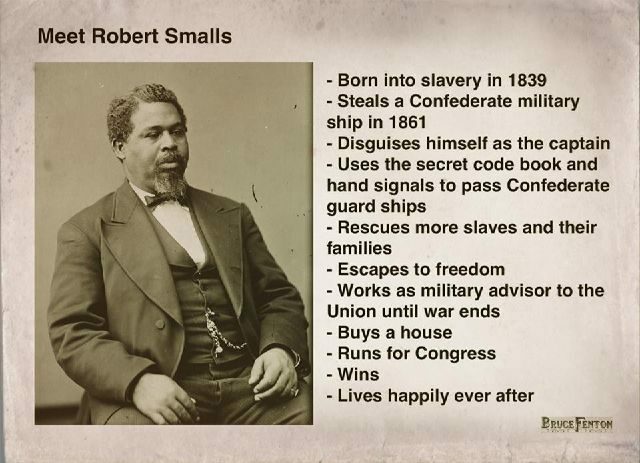 A man named Robert Smalls escaped slavery, along with his family and other slaves, by stealing a Confederate ship and was later elected to the U.S. House of Representatives. Each assertion provided in this meme is generally factual, save for the fact that Smalls’ escape took place in 1862 rather than 1861. Smalls was born in the home of his mother’s master, John H. McKee, in Beaufort, South Carolina, in 1839. (Either McKee or McKee’s son may have been Smalls’ father, but this is unconfirmed.) When Smalls was a teenager, his mother asked McKee to allow her son to be rented out for work in Charleston, South Carolina, where he was eventually hired as a deckhand on the coastal cotton transport steamship Planter. In short order, Smalls became the ship’s de facto pilot. According to a biography of Smalls by historian Henry Louis Gates, Jr., “few knew Charleston harbor better than Robert Smalls,” and this knowledge became the ticket to his and his family’s freedom. At the onset of the Civil War, the Planter (with Smalls among its crew) was commissioned by the Confederacy for a variety of wartime activities, during which the ship played a role in destroying a Union lighthouse, transporting arms, and mapping the intricacies of the Atlantic coast. By May 1862, the Union Navy had set up a large blockade around much of the Atlantic and Gulf coasts, cutting of the shipment of supplies to the Confederacy. Smalls and his fellow slaves quietly developed plans to surrender to the Union ships that comprised this blockade. His escape was symbolic of the Union cause, and the publication of his name and former enslaved status in northern propaganda proved demoralizing for the South. Smalls spent the remainder of the war balancing his role as a spokesperson for African Americans with his service in the Union Armed Forces. Piloting both the Planter, which was re-outfitted as a troop transport, and later the ironclad Keokuk, Smalls used his intimate knowledge of the South Carolina Sea Islands to advance the Union military campaign in nearly 17 engagements. He assumed command of the Planter when, under “very hot fire,” its white captain became so “demoralized” he hid in the “coal-bunker.” For his valiancy, Smalls was promoted to the rank of captain himself, and from December 1863 on, earned $150 a month, making him one of the highest paid black soldiers of the war. Poetically, when the war ended in April 1865, Smalls was on board the Planter in a ceremony in Charleston Harbor. Following the war, Smalls continued to push the boundaries of freedom as a first-generation black politician, serving in the South Carolina state assembly and senate, and for five nonconsecutive terms in the U.S. House of Representatives (1874-1886) before watching his state roll back Reconstruction in a revised 1895 constitution that stripped blacks of their voting rights. The Romance of History in “The Black County”. 1882. The Root. 20 May 2013. The Washington Post. 2 March 2012.